To find our more about how you can use these products, integrate your software to work with ours, or use them to add value to your applications contact Steve Fadem fadem@bcm.edu. We are new, flexible, and excited about making life easier for doctors. We are using mainstream, state of the art, best demonstrated practice software design, and can probably make our software work with anything binary. 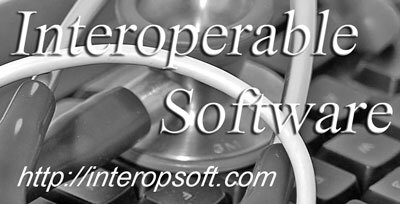 That's why we call ourselfs Interoperable Software.